If irons are going father, to preserve distance gaps we also need your Hybrids to add some yardage. The next generation face cup delivers that across the face. Most adjustable Hybrids lose some of their ease of use because the weight in the adjustable hosel raises the CoG. 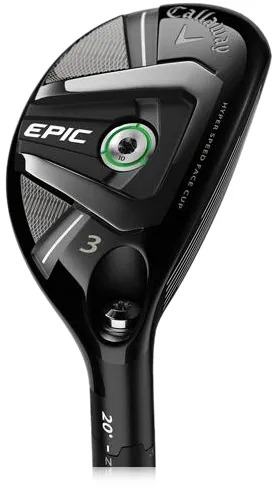 There is so much weight saved by the Triaxial-Carbon crown that, even with adjustability, the CoG in the EPIC Hybrids is low, creating a higher, easier launch. your options on the course. any of your #2 - #5 iron from your set.